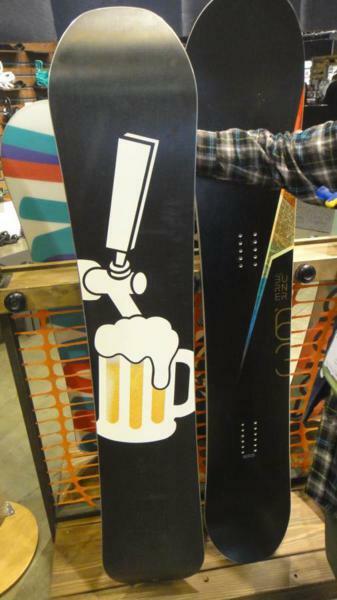 The Salomon Man’s Board is a great idea. The marketing idea behind it is cool but who really cares about marketing when you are looking down the hill and making a turn. The good thing is that the Man’s board performs as well or better than its marketing. It’s a very good all conditions ride and the sizing is unique. The waist width is a little wider so it’s a good mid-sized boot choice for those riders right in between a regular size board and a mid/wide board. 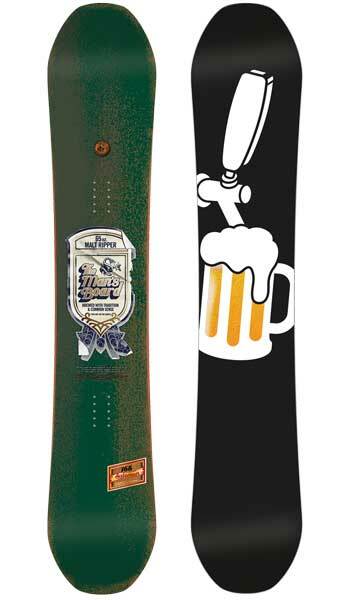 The 2014 Salomon Man’s Board hasn’t changed much. Conditions: Pretty hard Colorado snow with a little pushed around light snow here and there one day and good soft practically perfect sierra snow the other. 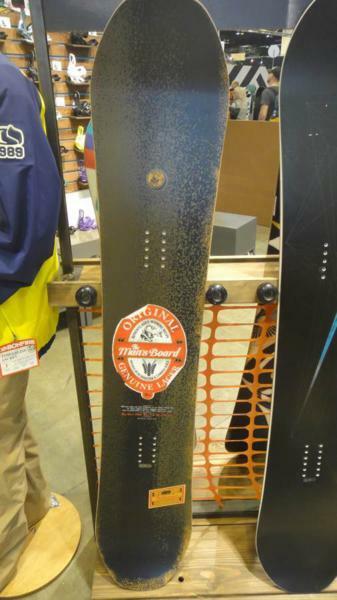 There are many hybrid camber boards out there but the Salomon Man’s Board is unique. It lives on the side of the mostly camber hybrid camber profile. It’s a pretty good design for those that love camber and want a little taste of the hybrid world when it comes to powder and having a little more forgiving ride than camber. For us, the 159 rode bigger than its size, but both of us have smaller feet (Size 8.5 and Size 9). Sometimes we have a lot of fun with a little bit wider waist and sometimes we don’t. This was pretty fun and aggressive but we would of been better off riding the 156 for our shoe size. . 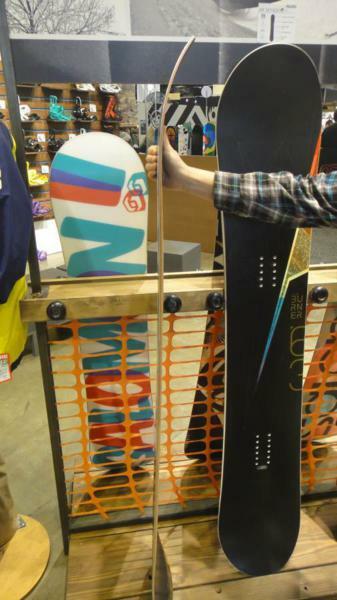 If you are more in the Size 10 to 11ish range, the 159-165 size Man’s Board might be a great call. On Snow Feel: The Man’s board is a very fun attack the mountain at high speed kind of ride. It was one of our favorites here when it came to this. It had that camber feel that is so awesome on well groomed runs. Turn Initiation and Carving– In chewed up and slightly rutted sections that require you to slow down and make good turns, the Man’s board did better than we thought. We liked laying into a carve, but making quick, tight turns took a little work but it was still very responsive for a board this aggressive. We had more fun picking up speed and making bigger turns than playing around but that is what men do right? Powder: We had no powder but you can tell the big nose/tail and little bit of rocker after the binding section makes the Man’s Board more than a camber board when it gets deep but less than the hybrid shapes with more rocker in it. If you are a camber rider then you will think this is a good improvement. Speed: The Man’s board is a fast board. We had no problem at any speed and like most high end All Mountain Salomon Boards the Man’s Board is happier at high speeds. Uneven Terrain: You pay a bit of a price for this race car like board. It’s rough on you in hard uneven terrain. I hit a rough patch of hard uneven snow and you could feel the board pass the shock right up into your knee. Both times I rode this I was on great or excellent shock absorbent bindings and they still couldn’t completely shield me from bumpy hard snow like many boards can. It’s not as bad as some boards because if you have medium size feet it will turn pretty quick around bumps if you know how to turn well. Approximate Weight- We didn’t really notice it as super light or heavy on the chair lift so it’s nothing to talk about but it’s also not a tank either. Switch: The Man’s Board has a good feeling switch and we had difficulty noticing the difference between regular and switch. Jibbing– The rails and jibbing world is not that open to the Man’s Board. It’s a pretty stiff board so we wouldn’t go there. Pipe: If you like a stiffer board in the pipe, the Man’s Board will do a great job here. It has enough edge hold to get up and down an icy pipe wall without too much sketchiness. The little bit of rocker in the nose/tail also helps make the mans board a little more forgiving than an all camber board of the same shape. Jumps: Again this is a stiff board but it has a lot of pop and can spring up pretty easy. 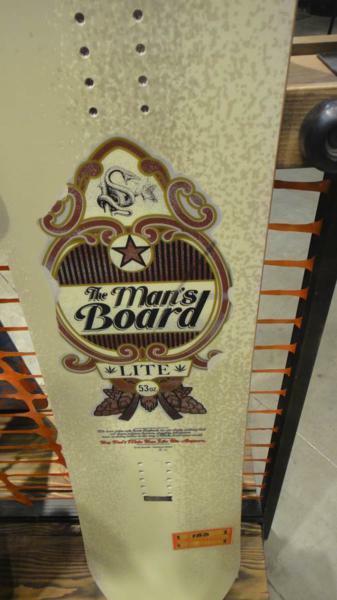 If you like going big in the park, the Man’s board will help you do that. Even though this is hybrid camber it requires a technical approach like you are riding a camber board. If you are okay with that, you will like the way the Man’s Board hits big kickers. 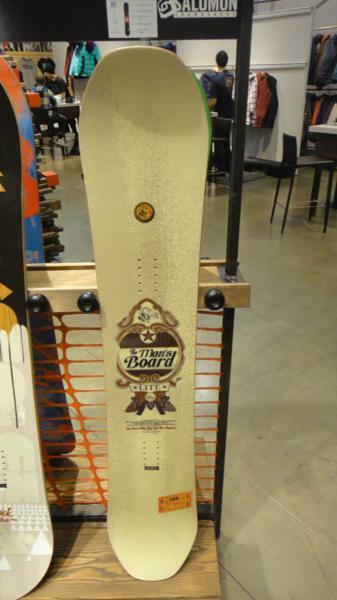 So in conclusion this isn’t a man’s board in the way a small guy buy’s a big truck to compensate. 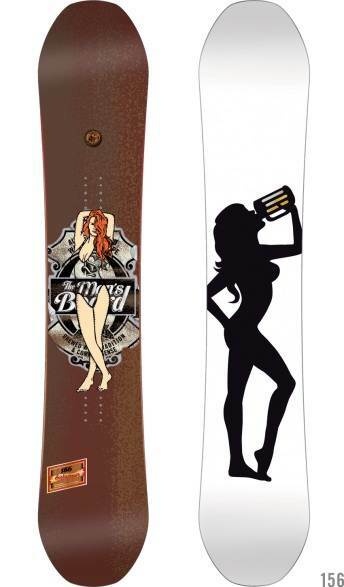 It’s just a good aggressive hybrid camber board that will appeal to a relatively small but very loyal group of riders. 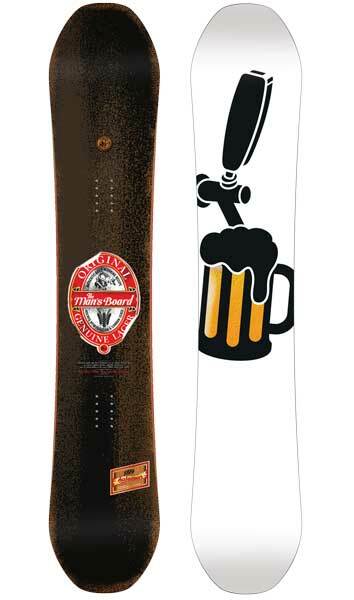 We try to get as many images of the Salomon Mans Board, but forgive us if they're not all there. This is the first board that I have ever bought, and it is a monster. Of course I mostly refer to the board as "her", "she" and "The Lady" because of the graphic of the beer lady (older board that I bought new). My setup is K2 Seem boots and Ride KX bindings. I will probably write another review or revise it when I get much stiffer boots and bindings. I got the 2013 or 2014 board (not sure which) at length 159, because I am addicted to speed. The Lady is really REALLY fast and has quite nice edge hold and carving for what she does. It is DEFINITELY not for the weak of heart or children who can't handle her. She will nuke down runs without hesitation. I've even had a few cracks at tailing fast skiers to match their speed with much success. My only problem with the speed is on unfamiliar mountains and steeps. The Lady does have a hard time dealing with uneven and bumpy terrain, but I remedied it to a great extent by bending my knees a bunch during turns. I ride harder than usual hard pack and sometimes ice during my normal days out, and she handles meh to okay, just as in the Good Ride review. The shock absorbing KX bindings help a bit, but it's still quite a ball-shaking ride on the absolute worst days. I can't eurocarve yet, but when I made low and tight turns, I found the turning radius to be a bit short. When carvebombing at high speed with soft shocks, the turning radius all of a sudden widens up massively for a hell of a ride. I don't have any experience in pow yet, so I can't review that bit. Say what you want about the Lady, but I love her to bits; this board will forever be my benchmark for any high speed all mountain bomber. Let me start off by saying that this is still the most sensational weapon that I have ever had the pleasure of killing the mountain with... until I had to sell it (more on that below). The speed, edge hold, and responsiveness are absolutely unreal. 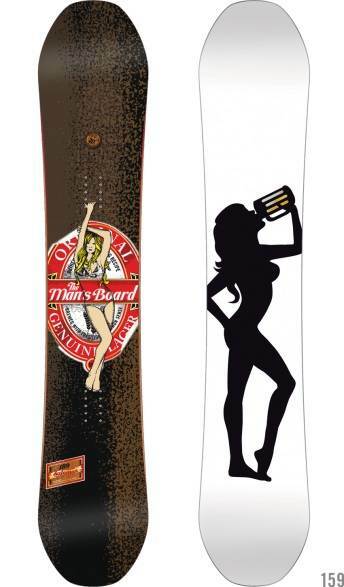 You need to be on your game when you ride the Man's Board on the hard stuff. 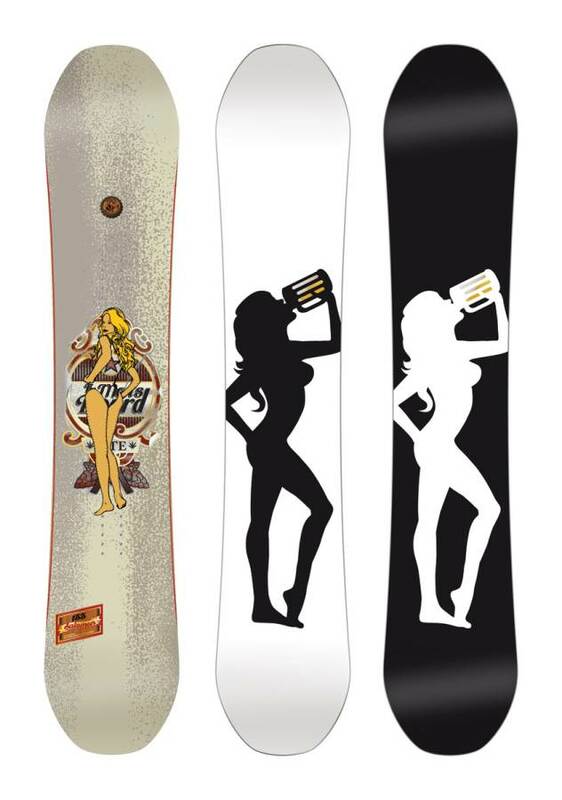 Yes, you can euro-carve with this with good enough snow. 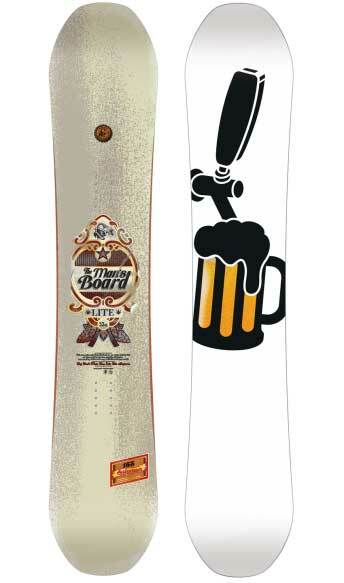 I was doing it to great effect alongside a friend who rides a 175 cm Swoard ExtremeCarver G4 race board. He couldn't believe the deep trenching this board was cutting into the groomer. There are no reverse-radius edge protrusions (like Magne-Traction or Frostbite) to crutch this board on hard-pack-- it's just straight up old school blended multi-radii edging. The cork in the sidewall is no gimmick. When carving on firm snow, it dampens the jittery behaviour for a very, very supple ride edge-to-edge ride. You'll appreciate this when you shoot it down steep groomer like a missile. Contrary to The Good Ride's remarks, the Man's Board is not that difficult to turn. The tighter outer radius on the edge turns it decently if you can give it a firm amount of toe or heel to initiate. When you lay into that carve and commit with your full weight to engage the long-radii centre of the edge, the board will reward you with an edge-hold that will not let up for as long as your carving technique is on point. Because the Man's Board will man-handle you if you think you can sloth it out on the runs-- it will not tolerate it. The stretched and kicked up tips are evidence that you don't need to bend a snowboard backwards for good float. It floated in knee deep cocaine with little effort, just mind the sheer size of the board when attempting to steer it in powdered glades. Jumps? Puh-lease... It will pop off the lip very well like it was a pure jump/pipe board. There is just enough torsional flex to allow you to pre-slide a massive spin off a kicker and still enough torsional stiffness to lock the edge down when you land it. The only downside is that there is more effort involved in working this board for your style. Give it 8-10 days to break into a more suitable flex for the park. Jibs are so-so, no hang-ups on rails but, again, it's size and swing weight require some effort to work with. 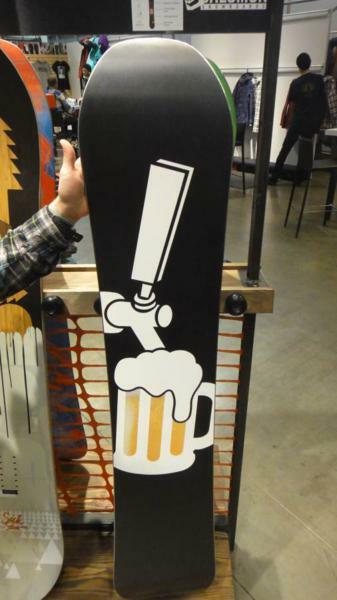 My only complaint, and the only reason I had to sell the board, was it's inadequate stance width. (I have, since, replaced this with a Rome Mod camber that I will review at another time.) 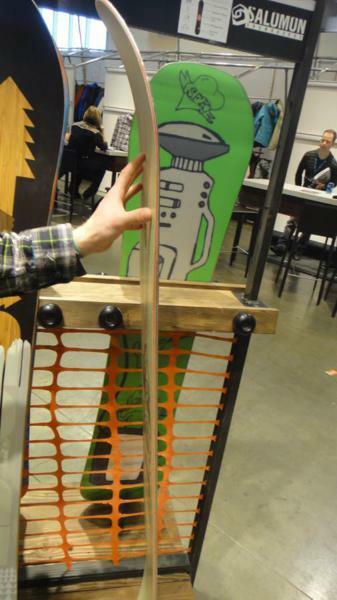 At centred, it was too narrow for me on both 156 and 159 cm sizes-- bear in mind that this was the 2014 model. 2015+ have now centred the inserts and widened the stance options. The 2015 eye candy topsheet is a humorous touch (thanks Bode Merrill!). I've pummeled this board through hell and it carried me back, with my feet on its topsheet, every time. Believe me, the promotional material is on the mark: no gimmicks, no bulls**t. This really is a man's board.